We know every organization has its own unique opportunities and challenges. One size never fits all in this business. Our goal is to help you better serve your mission and your constituents by providing thoughtful and thorough program assessments, advice and strategic guidance in planning and managing truly transformational campaigns, and personalized coaching services because it takes great people to make a great organization. Whether your goal is to undertake a campaign, take your advancement program to the next level, or provide training to your staff or volunteers, we bring experience, insight, flexibility, and creative problem-solving to help fulfill your vision. A great consultant believes in your mission, really listens to your needs and views, works with you as a partner, and draws from experience to do all of that, and do it well. 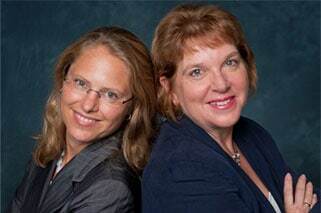 Click for more information about Kathy Cole or Maya Gasuk, or to hear from their clients about our work. Personalized approaches specifically designed for your organization. Extensive experience (a combined total of more than 50 years of professional fund raising and consulting) working with staff, boards, and volunteers in both large and small organizations. Creative solutions to the challenges you face. A commitment to take the long view with you for your organization’s success and provide the planning framework, training, coaching and support to help you reach a higher level of effectiveness. A partner and confidential resource to help you sort through thorny issues and develop reasonable and well-thought-out solutions. A commitment to the highest ethical and professional standards. Feel free to contact us to discuss your needs. We look forward to working with you, earning your respect, and helping you advance the mission of your organization. The president of the firm, Kathy Cole, lives on the east side of Seneca Lake in the heart of the Finger Lakes area of Upstate New York. In the Finger Lakes, a change in the weather almost always comes with a western breeze. She named her business West Wind Consulting Strategies in Fund Raising understanding that her clients hire her to bring, or navigate change. Like the weather, sometimes change is welcome, sometimes it feels difficult, but no matter what that change may be, it’s always better to see it coming and anticipate it rather than be caught off guard. If there is one thing that Kathy hopes to bring to her clients, it is the ability to anticipate and even encourage change and to “weather” change and emerge stronger because of it.